Heavy duty straight loading ramps with a maximum load of 1000 kg. 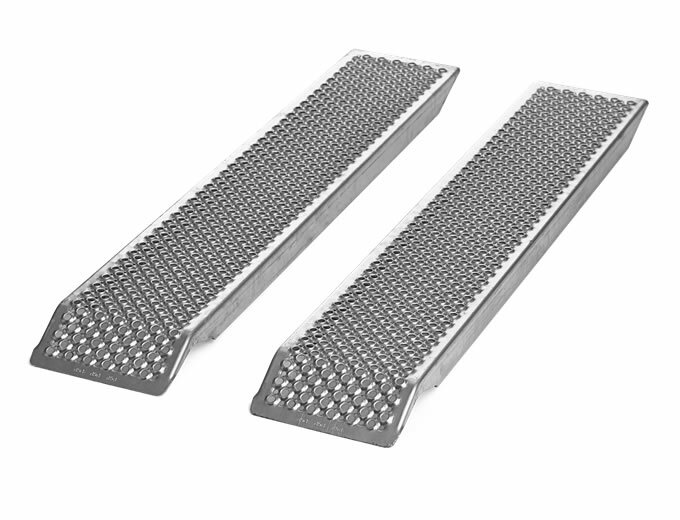 Made of sea-water-resistant aluminium with slip resistant surfacing, these straight loading ramps are ideal for use with trailers or vans. They are available in two sizes, either 26 cm by 150 cm or 26 cm by 200 cm, with a maximum load of 1000 kg per pair.